The party's Delhi unit plans to invite top leaders such as Narendra Modi and Amit Shah to address the Purvanchali rally that will be the first in the series of the four mega-gatherings. 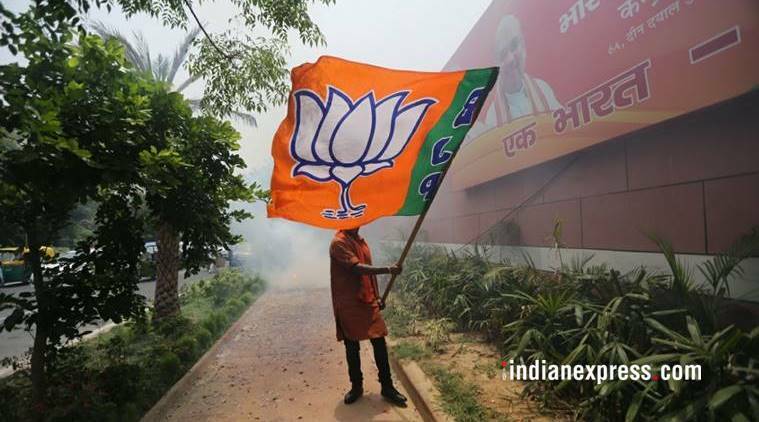 The Delhi unit of the BJP plans to hold four mega rallies, including one of settlers from Purvanchal, for a show of strength in the city to counter a possible alliance between the Congress and AAP before the run-up to the 2019 Lok Sabha polls. A senior Delhi BJP leader said the rallies, likely to be held in October and November, will focus on the Dalit community, women, youth and people from Purvanchal or parts of eastern UP and Bihar. “Purvanchali people rallied behind the BJP in the MCD elections last year. If we succeed in having their support, the BJP will brave any challenge including the possibility of an alliance between the AAP and Congress,” he told PTI. The party’s Delhi unit plans to invite top leaders such as Narendra Modi and Amit Shah to address the Purvanchali rally that will be the first in the series of the four mega-gatherings. The preparations have begun with contact programmes launched by the party. The BJP hopes that each of the rallies will be attended by at least one lakh people, the party leader, who did not wish to be identified, said. The party, which believes that Purvanchalis constitute around 40 per cent of the city’s total voters, had appointed Bhojpuri superstar-turned-politician Manoj Tiwari as the city unit president in November 2016. Tiwari led the party to a major win in the civic polls in April 2017. Poorvanchali voters constitute 20-45 per cent of the vote share in at least 20 Assembly constituencies in Delhi, the leader said. The Assembly segments where Purvanchalis dominate include Burari, Seemapuri, Gokalpuri, Karawal Nagar, Kirari, Badli and Nangloi. “Under our ‘Sampark for Samarthan’ campaign, all senior leaders including Delhi unit chief Manoj Tiwari are meeting prominent people. Booth-level office-bearers have to approach 50 households and tell the people about the Modi government’s achievements,” he said. The Yuva Morcha has galvanised its cadre through bike rallies in spreading the message about the government’s achievements, he added.